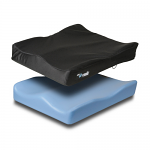 When comfort is your goal, the right wheelchair cushion can have the most significant impact. In other words, your wheelchair can not be considered complete without a comfortable cushion. A perfect combination of wheelchair and cushion is important not only for proper support but for medical restoration as well. That is why, while searching for the best wheelchair cushion, think about your posture and comfort too. 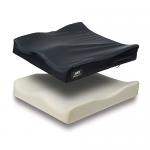 Jay Medical Wheelchair Cushions are designed to provide extra support and comfort. 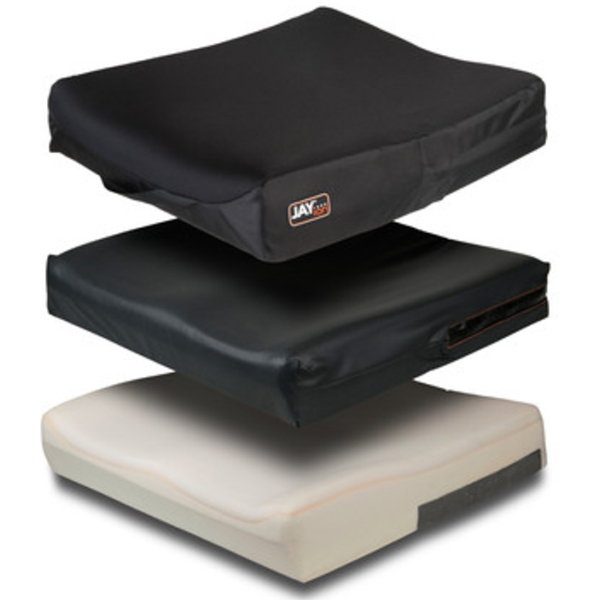 Whether you select the Jay Basic Wheelchair Cushion , the Jay Basic PRO Wheelchair Cushion or the Jay Fusion Wheelchair Cushions, we can help you maximize your comfort by offering the best options for you. 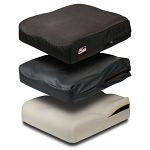 With savings up to 47%, Sportaid has the best deals on Jay Medical Wheelchair Cushions! 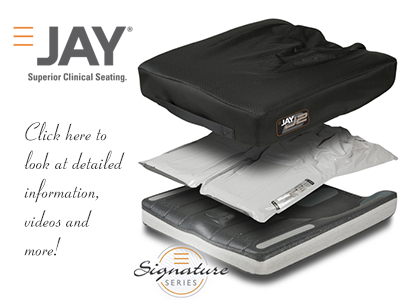 Find the Right Jay Medical Wheelchair Cushions for You! 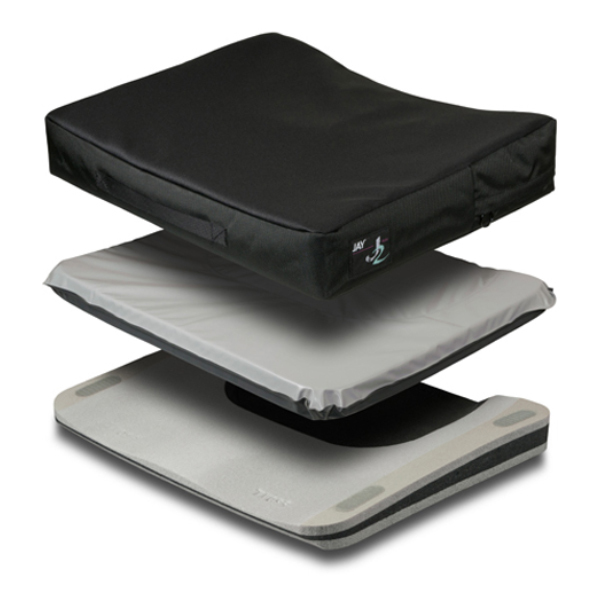 Designed with careful consideration for the Science of Seating, Jay Medical Wheelchair Cushions offer optimal support and comfort to the users. 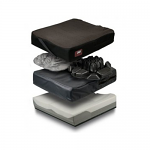 Choose from our collection of Jay Medical Wheelchair Cushions and save big with Sportaid.com's everyday low prices. 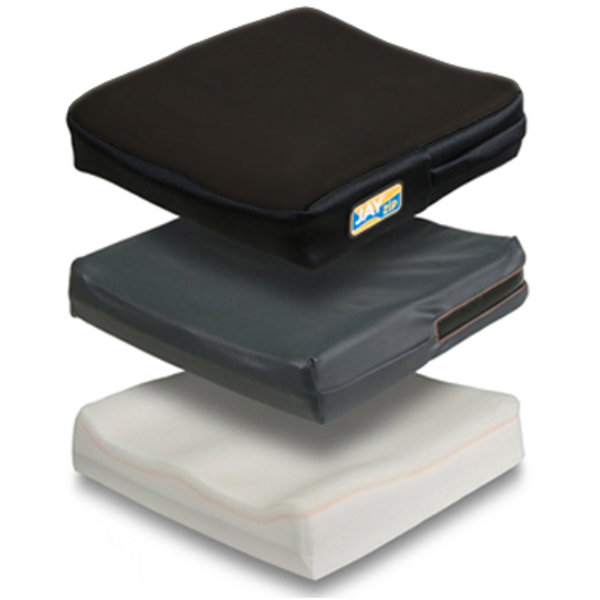 You can choose from a wide variety of Jay Medical Wheelchair Cushions like Jay Combi Soft Wheelchair Cushions, JAY Easy Wheelchair Cushion Curved or Flat Bottom, J2 Deep Contour Back, or the Jay J-Gel Wheelchair Cushion. 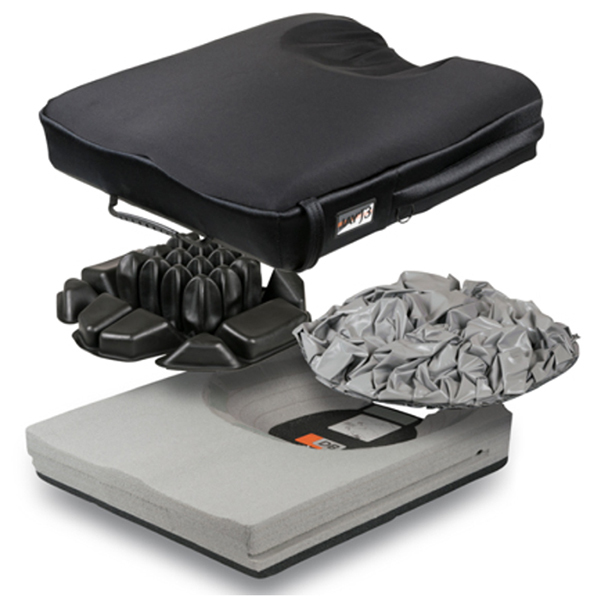 Sportaid offers customized solutions for your individual Wheelchair Cushion preferences. 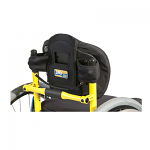 Browse through our huge selection of Jay Medical Wheelchair Cushions or feel free to call 1-800-743-7203 for help choosing the right option today. You will not regret it! Whether you are a first time customer or someone who has been with us for a while, we guarantee satisfaction. 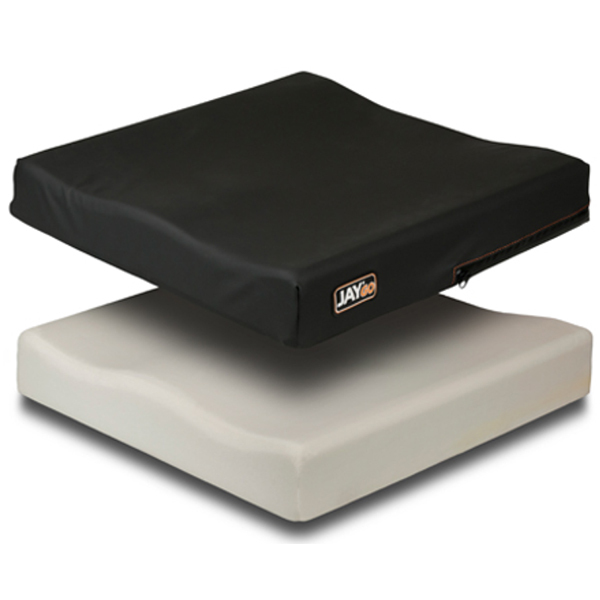 After over 25 years in the business helping people find Jay Medical Wheelchair Cushions at the lowest prices, we continue to lead the industry! 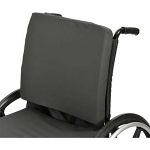 We carry a large selection of wheelchair cushions and backs, wheelchair parts, and wheelchair accessories. We are capable of beating any competitor's advertised price, just call! Our customer service staff has over 50 years of experience, plus over 90 years of combined wheelchair use experience. We look forward to working with you!